“These proceedings arise out of GSK’s violations of the internal controls and recordkeeping provisions of the FCPA. Between at least 2010 and June 2013, employees and agents of GSK’s China-based subsidiary and a China-based joint-venture engaged in various transactions and schemes to provide things of value to foreign officials, including healthcare professionals (“HCPs”), in order to improperly influence them and increase sales of GSK products in China. This misconduct was facilitated in part by the use of collusive third parties that ostensibly provided legitimate travel and other services. The funds used for the improper inducements were frequently obtained under the guise of, and falsely recorded in GSK’s books and records as, legitimate travel and entertainment expense, marketing expense, speaker payments, medical associations payments, and promotion expense. Throughout this period GSK failed to devise and maintain a sufficient system of internal accounting controls and lacked an effective anticorruption compliance program. 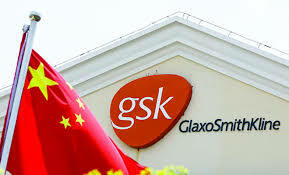 The conduct at issue focused on GlaxoSmithKline (China) Investment Co. Ltd. (GSKCI), a wholly-owned indirect subsidiary of GSK, based in Shanghai and Sino-American Tianjin Smith Kline & French Laboratories Ltd. (TSKF) a joint venture with Tianjin Zhong Xin Pharmaceutical Group Corp. Ltd and Tianjin Pharmaceutical Group Co. Ltd. in which GSK owns 55%. “From at least 2010 to June 2013, employees and agents of GSKCI and TSKF engaged in transactions and schemes to corruptly transfer things of value to foreign officials in China to increase sales of pharmaceutical products. The payments were made to increase sales through increased prescriptions by individual HCPs [healthcare professionals] and purchases by hospital administrative staff responsible for product selection or purchase. The conduct occurred across all geographic areas within the sales and marketing functions and impacted all product lines. The corrupt payments took varied forms, including gifts, improper travel and entertainment with no or little educational purpose, shopping excursions, family and home visits, and cash. The costs associated with these payments were recorded in GSK’s books and records as legitimate expenses, such as medical association sponsorships, employee expenses, conferences, speaker fees, and marketing costs. These improper practices were pervasive among GSKCI’s and TSKF’s sales and marketing representatives and were condoned by regional and district managers. For example, a 2013 work plan submitted by a sales representative to a regional sales manager described the intent to pay, among other things, an HCP RMB 20/box of prescribed product every month, and deliver appropriate gifts on each holiday in exchange for a guarantee of more than 40 boxes of prescribed product every month. Among the ways employees were able to fund payments to HCPs was the use of collusive third party vendors, such as those used to perform planning and travel services for events involving HCPs. Between 2010 and June 2013, GSKCI spent nearly RMB 1.4 billion (USD $225 million) on planning and travel services. Test sampling showed that approximately 44 percent of the sampled invoices were inflated and approximately 12 percent were for events that did not occur. Controls weaknesses also permitted ostensibly legitimate speaker fees to be used to improperly influence HCPs. While GSK’s policies as of 2010 placed limits on the amount of fees paid to speakers per hour and by 2012 cumulatively per year, there was no effective system in place to ensure the actual identity of a speaker. Of approximately RMB 106 million (USD $17 million) spent by GSKI in speaker fees, approximately RMB 14 million (USD $2.2 million) was paid to persons whose qualification as an HCP could not be verified. Marketing programs were another mechanism used to improperly influence HCPs. For example, in 2010, GSKCI engaged a local vendor to facilitate a national marketing program called the Cold Chain Project. The project was intended to provide healthcare clinics with tools to facilitate the storage and administration of vaccines that required refrigeration. However, the project was instead used to provide HCPs with gifts such as laptops, tablets, and other electronic devices. Over the life of the project, GSKCI paid out RMB 14.6 million (approximately USD $2.3 million). The project was created and administered by senior marketing and sales managers of GSKCI. The clinics selected were based upon the potential to market additional pharmaceutical products. Issues of fake invoices claimed from hotels and restaurants for sales meeting activities. These invoices came from a local preferred meeting agency used by the Guangzhou office. Sales employees’ salaries were significantly driven by commissions that could lead to an incentive to improperly inflate sales. The audit sampled 20 percent of the sales team for the office and found that for 41 percent their sales commission bonuses were greater than 50 percent of their income. Based on the above findings, the SEC found that GSK violated the FCPA books and records and internal controls provisions. “In determining to accept the Offer, the Commission considered remedial acts promptly undertaken by Respondent and cooperation afforded the Commission staff. 1. During the course of the investigation, Respondent provided prompt and regular briefings regarding its own internal investigation in China, and with respect to other countries. Respondent timely conveyed the facts it learned in the course of its own investigation, promptly responded to document requests by the Commission staff, and provided translations of documents as needed. 2. Respondent also provided detailed and timely information regarding its remedial efforts, enhancements to its compliance program and implementation of key initiatives.